PopcornBiz Takes an Expectant Father to "Due Date"
“Due Date” is a mostly successful retooling of “Planes, Trains and Automobiles,” the 1987 John Hughes road classic starring Steve Martin and John Candy. The template requires a remarkable set of circumstances: a lost wallet, at least one eye-popping car crash, a family man with a temper, a loser with a sad backstory and, of course, a redemptive moment. Director Todd Phillips dutifully fills each bucket, in this meaner (in a good way), less heartfelt, nearly-as-funny version of the classic tale. 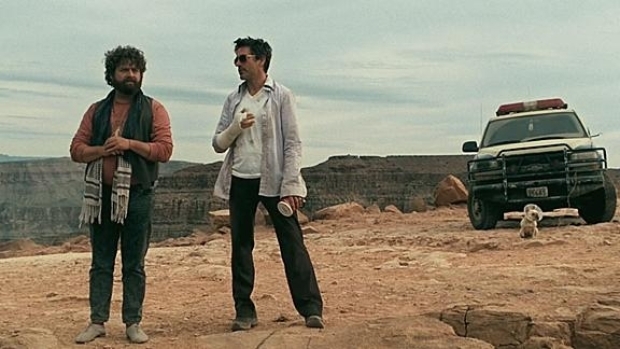 Robert Downey Jr. and Zach Galifianakis each give the kind of performances we’ve come to expect from such talented guys. 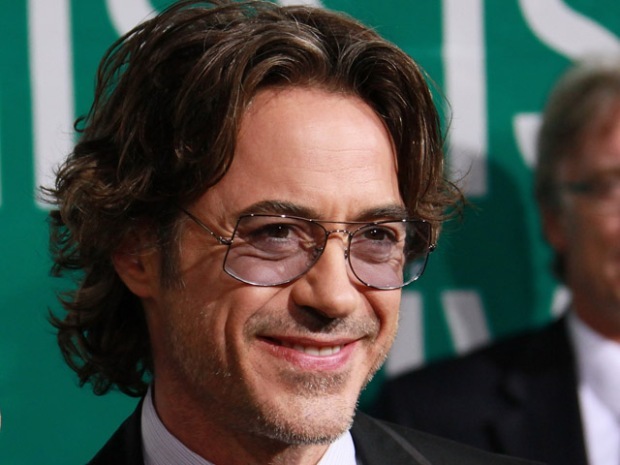 Downey’s honed his comic timing to razor-sharp perfection, and Phillips lets him run with it. Downey’s rage issues are forever percolating, and when they boil over, it typically results in a glorious mess of vitriolic humor. Galifianakis is a very different sort of funnyman, one with a gift of crafting characters with quiet touches like his jockstrap in “The Hangover,” or his Lillith Fair T-shirt in “Due Date.” He also shows again, as he did in “It’s Kind of a Funny Story,” that he can go dramatic, grieving more than once for his dead father. Robert Downey Jr. & Zach Galifianakis Hit The Road In "Due Date"
Robert Downey Jr. and Zach Galifianakis chat about their hilarious first dinner meeting, which included a major faux pas on Zach's part. Plus, what prompts Zach to do some major squirming during the interview? Like any decent comedy these days, most every corner of the film is packed with a great cameo. RZA kills as a airport luggage inspector. Matt Walsh is a pain TSA agent. Danny McBride is a paraplegic Iraq War vet (played for laughs, but with respect, we promise) and Juliette Lewis a spaced-out pot dealer. Jamie Foxx as Downey’s old college buddy is the film’s biggest disappointment. His timing is off, his whole performance reeks of unpreparedness. The jokes are there, but he’s just not hitting his beats. Michelle Monaghan feels wasted as Downey’s very pregnant wife. She showed such promise opposite Downey in the 2005 cult classic “Kiss Kiss Bang Bang,” but here she’s relegated to the stock role of expectant mother waiting for hubby to come home. Stars of the new comedy "Due Date" describe working with lead actor Robert Downey Jr. Plus why Robert thinks making this movie was one of the easiest experiences of his career. The film sags a bit in the second act as Phillips tries in vain to establish some emotional gravitas, as the film periodically feels as though Phillips -- or one of his co-writers -- is struggling with some dad issues. But the action picks up soon enough; in fact, it goes a little too over-the-top for a spell. It was gutsy of Phillips and Galifianakis to team up again right after the monster success of “The Hangover,” knowing that “Due Date” would be greeted with impossible expectations. And sure enough, they fall short of their original collaboration, but this new film is at least half as funny, which is still pretty funny.